Adventist Mission | "So This Is Sabbath!" “From the first Sabbath that we went to church there was a peace that I had never felt in my whole life,” said Ian. “I still experience that peace every Sabbath. Rotuma is located approximately 400 miles (643 km.) from Suva, Fiji. The island of Rotuma is just 16 square miles (43 sq. km.) with a population of about 2,000 Rotumans living on the island itself. Eighty-five percent of Rotumans voted against opening their island to organized tourism. About 10,000 Rotumans live on the main islands of Fiji, in New Zealand, and in Australia. 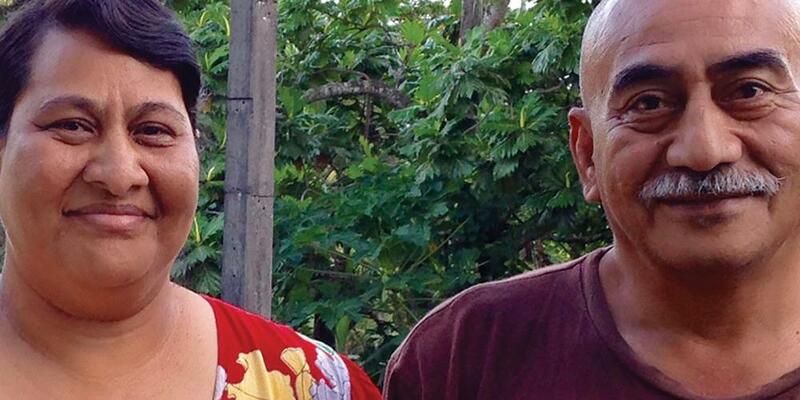 Ian Rigamoto and his wife, Lavinia, were born into staunch Methodist families on the tiny island of Rotuma—technically a part of Fiji but with a language and culture of its own. Like many Rotumans, the couple moved to Suva, the capital of Fiji. There, Ian and Lavinia were active in the local Methodist church and were raising their children, Rozyln and Rosemary, in the faith. But the couple longed to learn more about the Bible. One day Ian felt impressed to go into a video shop in Suva. There he found a series of DVDs on Bible prophecy by Seventh-day Adventist pastor Doug Batchelor. “Deep in our hearts, we knew Sunday wasn’t the right day,” said Ian. “Our hearts were telling us to do the right thing. During family worship, the question always popped up—what about the Sabbath?” But Ian’s father lived with them, and they didn’t want to disappoint family or friends. Ian, Lavinia, and their daughter Rozlyn continued attending the Methodist church, but their younger daughter, Rosemary, started going to the Seventh-day Adventist church. Often she reminded her parents of the Sabbath truth. The family struggled with their convictions for five years, sometimes praying and fasting as they asked God for direction. Then one day, Ian’s father asked, “Please can I go to Rotuma? I’m tired of staying here.” They paid his airfare, and he was gone. Just as Ian and Lavinia were convicted that it was time to keep the Sabbath, the Methodist head elder saw Ian at the market and said, “You’re supposed to be preaching this Friday—Easter Friday.” Ian felt conflicted—what should he do? That Sabbath Ian and Lavinia joined their daughter Rosemary in worshiping at the Seventh-day Adventist church. They were baptized, and started hosting weekly Bible studies in their home.